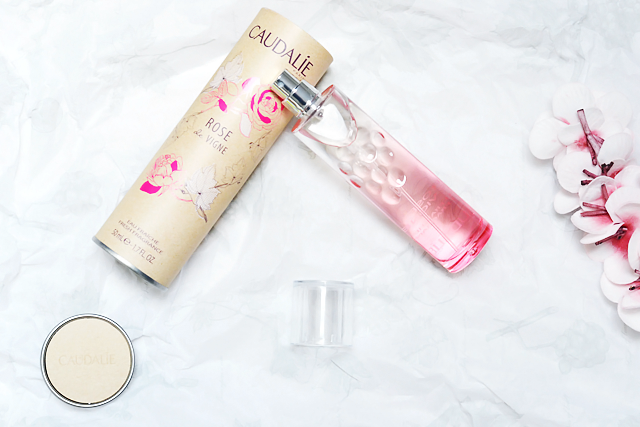 Rose De Vigne is the 5th scent of the Eau Fraîche collection of Caudalie. Every year they create a new perfume. After Fleur de Vigne - Thé des Vignes - Zeste de Vigne and Figue de Vigne it's Mathilde Thomas time to create: Rose de Vigne. 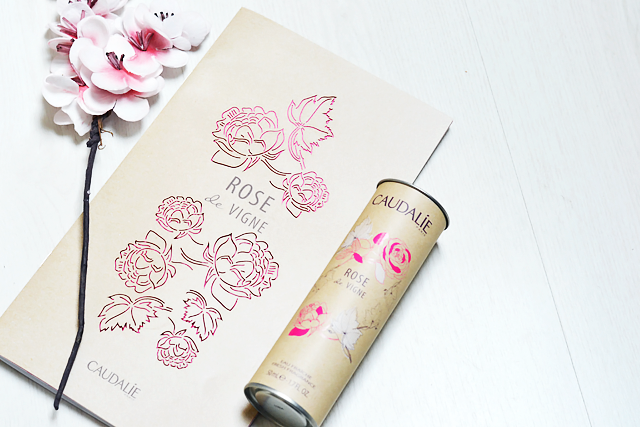 Rose de Vigne is not just a perfume but a perfume with a story. Image the foot of a vineyard with lots of adorable rosebushes - the queen of flowers. They create a beautiful landscape together with sunlight, green, flowers and fruit. Mix this sent together with the life joy of grapes and Rose de Vigne is born. 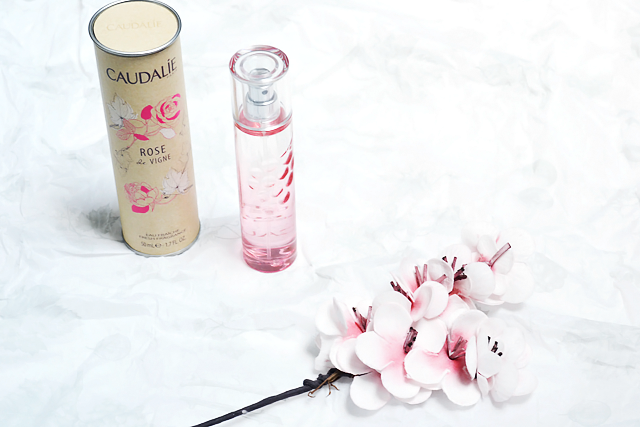 The perfume is created with roses, grapefruit, rhubarb, lilly of the valley, magnolia, white musk and wood bark. And yes it's smells as good as it sounds! The package is also very sophisticated. 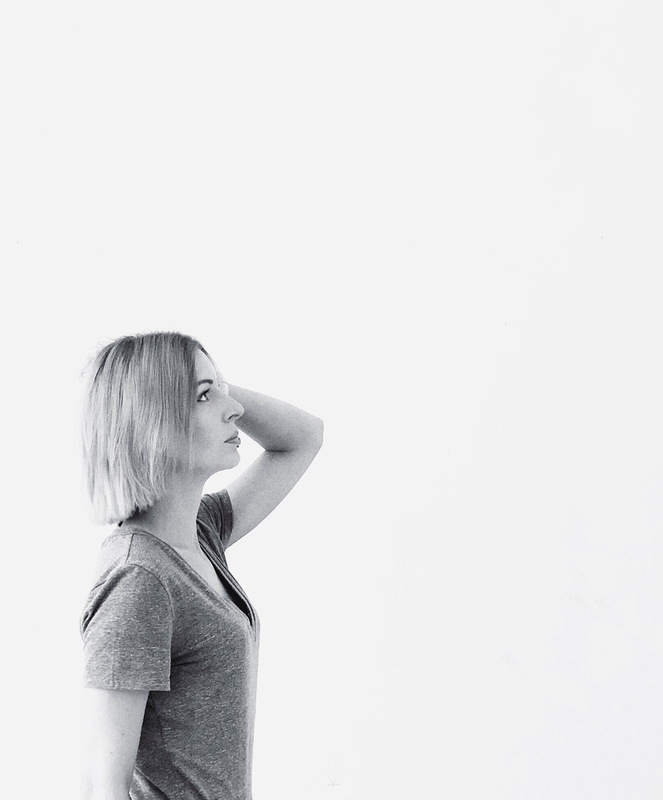 Simple but playful. The cardboard material fits perfect with the natural ingredients of the perfume just like the pink ombre bottle decorated with cute grapes. I'm a flower scent lover anyway so I can tell you I'm a big fan of this perfume. When I tried it on it reminded my immediately of summer happiness and nature. Almost an Utopia memory. 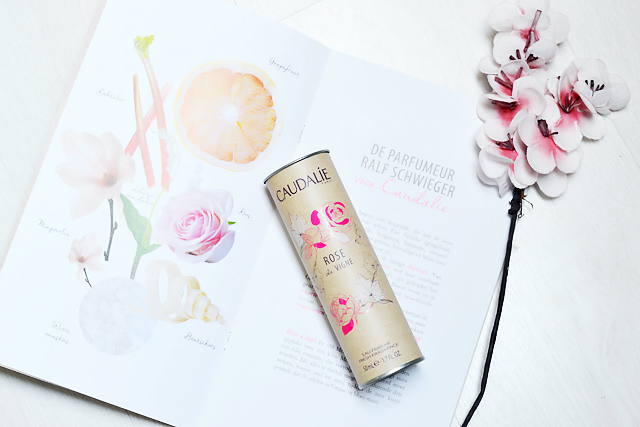 What do you think of this Caudalie perfume, have you tried any before of the Eau Fraîche collection?